The 2016 Acadia National Park centennial celebration has started with a bang, or well, a bean supper and an art show at the local kid’s summer camp. 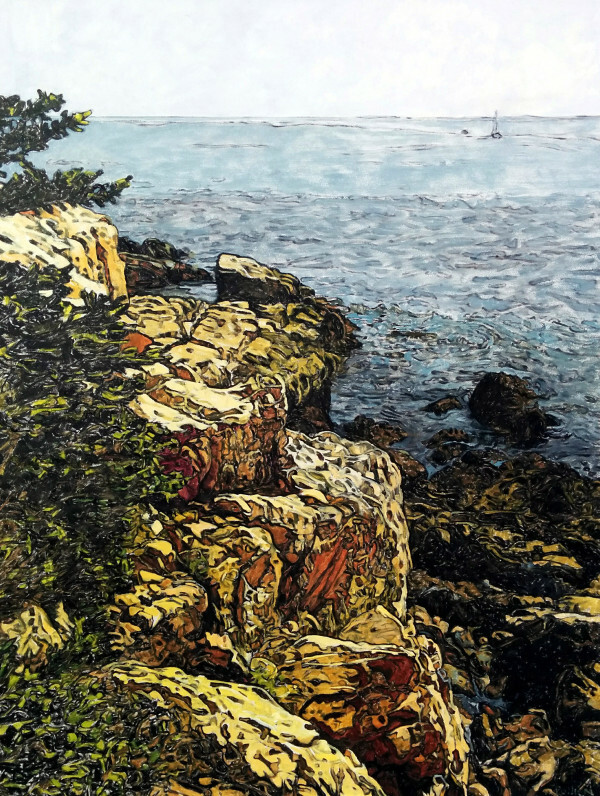 My work has taken many twists and turns over the past decades; from pastel to oil and still life to cityscape, and now “rocks and water” have come around just in time to celebrate a century of public access to some of the most beautiful scenery in the world. Just off the easel, Bass Harbor Rocks I, oil on panel, 24 x 18 inches. This entry was posted in art, landscape, Maine, painting and tagged Bass Harbor, painting, winter on March 5, 2016 by APo.